On May 23, 2018, following years of debate, collaboration and finally compromise, Congress gave final approval to historic veterans legislation that would expand the eligibility for the Department of Veterans Affairs comprehensive caregiver program to veterans catastrophically injured before Sept. 11, 2001. The “John S. McCain III, Daniel K. Akaka and Samuel R. Johnson VA Maintaining Internal Systems and Strengthening Integrated Outside Networks Act of 2018,”—referred to as the “VA MISSION Act,”—will also strengthen VA health care and consolidate VA’s community care programs; provide supplemental funding to continue the current Choice program for another year; give VA new tools to hire and retain quality health care professionals; and develop a long-term plan to realign and modernize VA’s health care infrastructure. The VA MISSION Act was introduced by Rep. Phil Roe, Chairman of the House Veterans’ Affairs Committee (HVAC), in agreement with Senators Johnny Isakson and Jon Tester, the Chairman and Ranking Member of the Senate Veterans’ Affairs Committee. 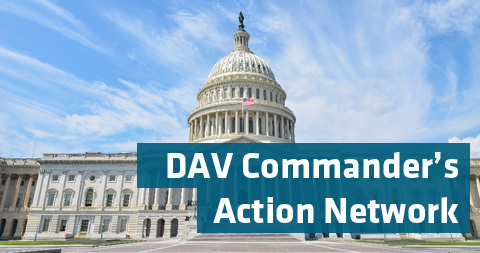 DAV and other major veterans service organizations worked closely with both committees in reaching the final compromise, and submitted a joint letter of support signed by 38 veterans organizations and stakeholders. “As leaders of the nation’s veterans and military service organizations, we thank you for your steadfast leadership in crafting this important bipartisan bill and call on all members of Congress to seize this historic opportunity to improve the lives of veterans, their families and caregivers by swiftly passing the VA MISSION Act of 2018,” the letter read. The bill passed the HVAC May 8 by a vote of 20 to 2; was approved by the full House with a vote of 347-70 May 16; and was passed by the full Senate May 23 by a vote of 92 to 5.